Experience the ultimate venue in Chicago! With a variety of spaces including the Burlington Room, Pennsylvania Room, Adams Terrace, and Founders Room we are the ideal location for special events, corporate functions, weddings, or any occasion! Renovations were completed in December of 2016 and The Burlington Room is a beautiful event space with the perfect touch of history and elegance. The room was originally constructed as the Women’s Lounge where ladies traveling could wait for the train and enjoy the services of the adjacent beauty parlor and other facilities. Now it is a flexible event space that will charm any guest. 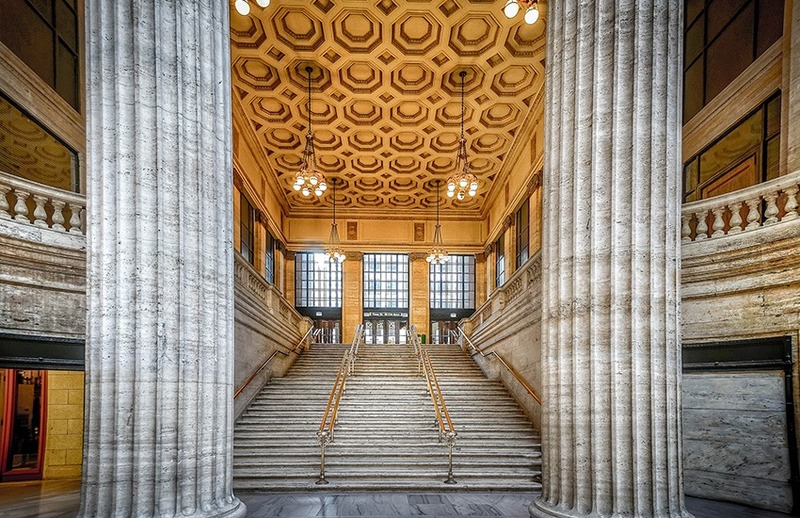 In addition to the Burlington Room, Chicago Union Station has the Pennsylvania Room in the Metropolitan Club, the Legacy Lounge and the Adams Street Balcony that is great for cocktail hours or onsite ceremonies.